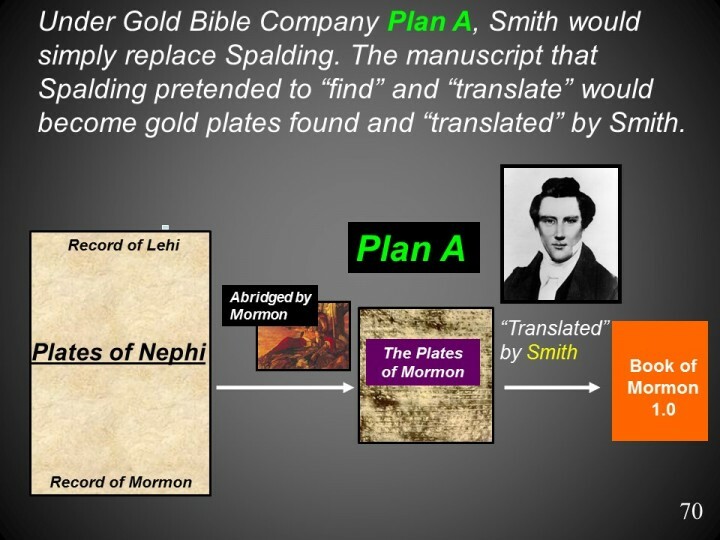 The above quotes suggest that Smith’s likely motive during execution of Plan A was money. For Cowdery and Rigdon, mixed motives seem likely. Both men needed money. Rigdon surely would have wanted to use the book as a kind of confirmation of the Old Testament–an aid in his theological struggles with Campbell who dismissed the Old Testament prophets. Cowdery likely justified his efforts on the book as good for society. He could excuse the need for deception because the book was another testament of Jesus Christ.